If you walk down the music hallway in our school this year, you may see a very welcome change. 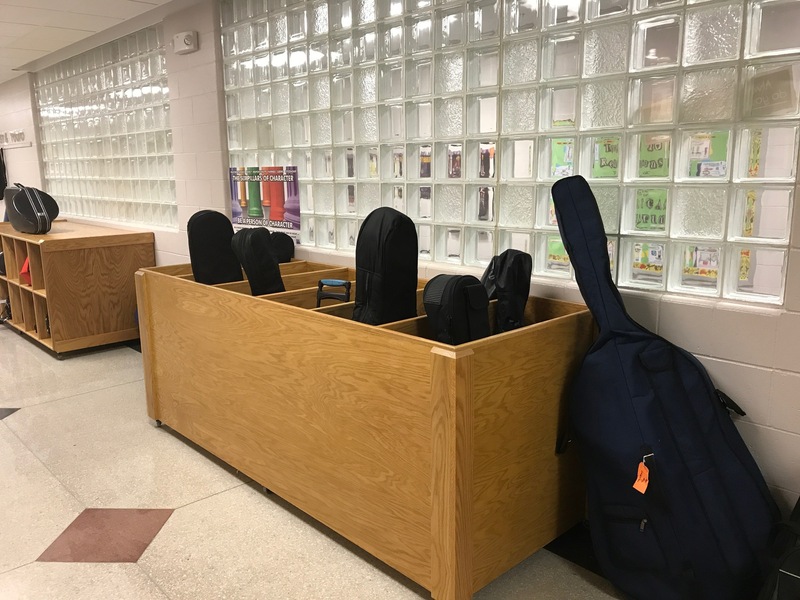 Unlike past years, students are no longer in danger of kicking instruments as they head to lunch, music, band and orchestra lessons, and recess. 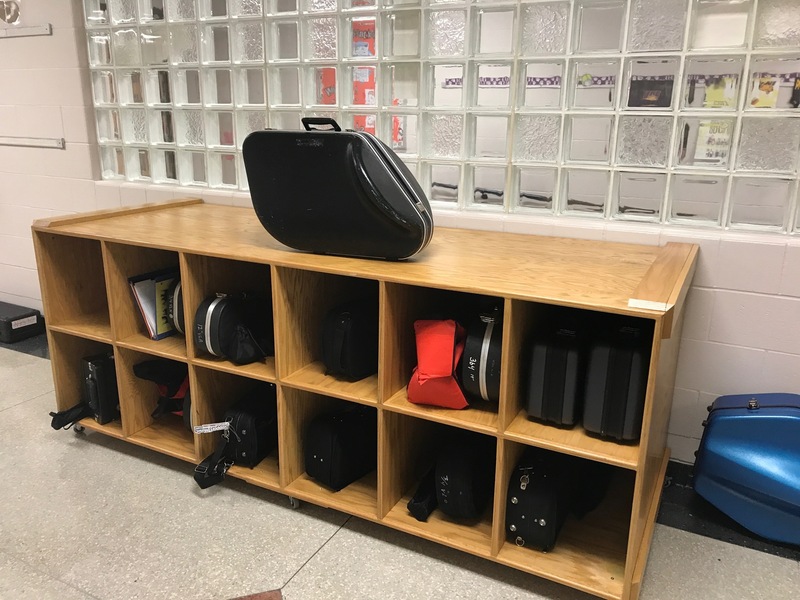 In past years we didn&apos;t have a system in place to store instruments that didn&apos;t fit in student lockers, forcing some of our band and orchestra students to leave the instruments on the floor in the hallway. 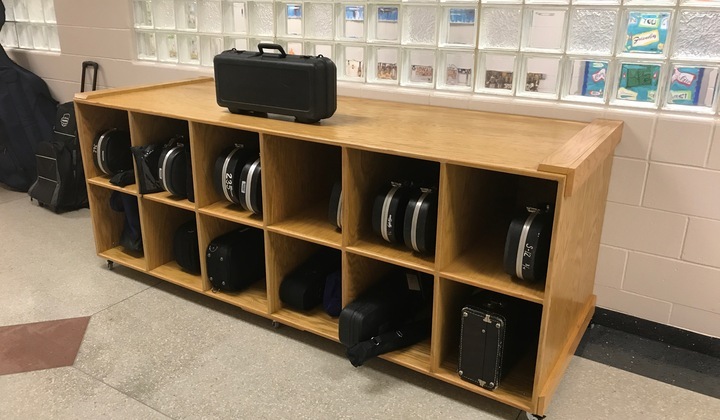 This posed a potential difficulty for both students and instruments as the cases cluttered the hall, exposing the instruments to unintentional damage. 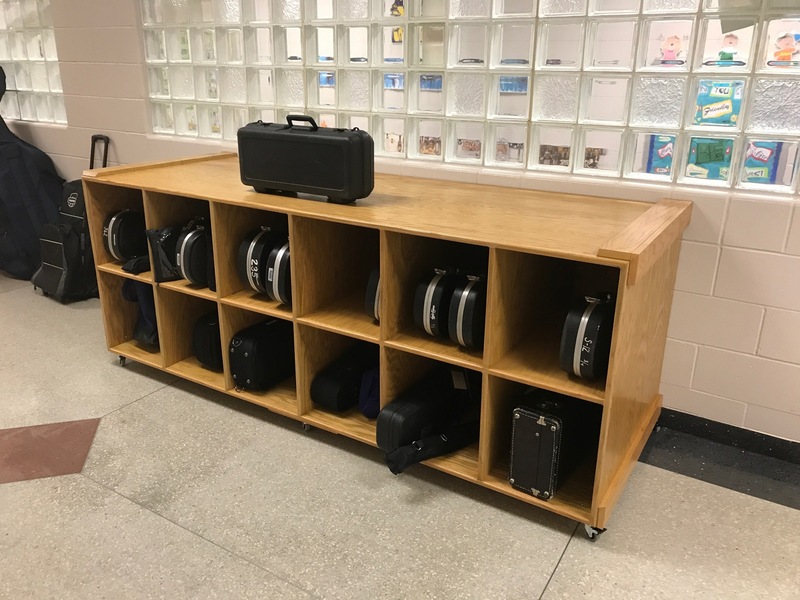 Former Cedar Heights student and current Peet 8th grader Andrew Schipper kept this in mind as he was planning his Eagle Scout project, and he set out to solve our instrument storage problem. Thanks to his hard work, we now have three well built and very nice looking storage units for our music hallway. This has made a huge difference in the safety of our students and the good condition of our instruments. 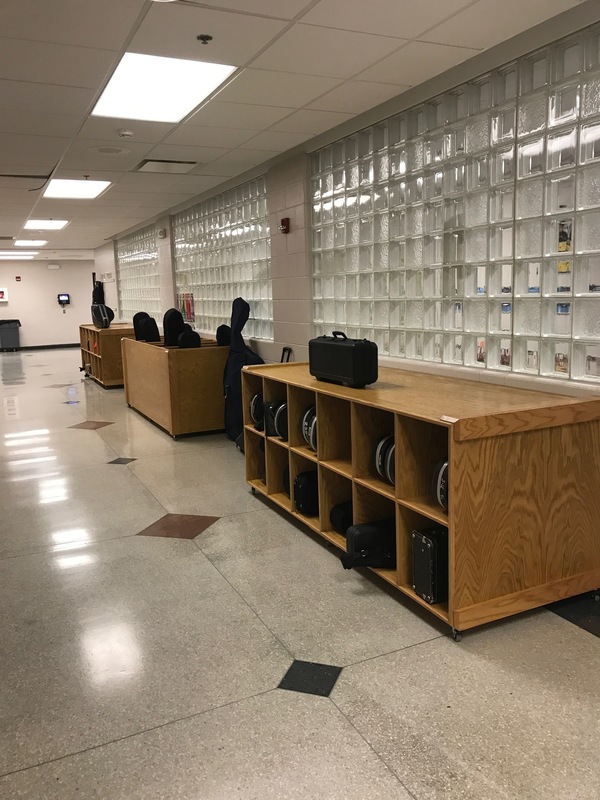 We were fortunate to have these storage units available at the beginning of the year, and we have heard many people comment how much easier it is to move down the hallway, and how much nicer the hall looks now. Thanks so much, Andrew for your contribution to Cedar Heights!